Spend a relaxing evening with your friends at Yindee's restaurant, reputed to be the home of the finest authentic Thai cuisine in the Southern hemisphere. 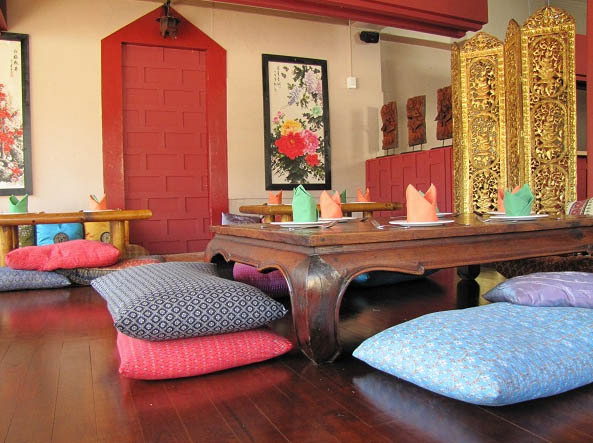 Situated off trendy Kloof Street in an historic Victorian house and artfully decorated to create a peaceful Thai ambiance, Yindee's offers Southern Thai home cooking at it's finest. Voted top Cape Town Thai restaurant, their excellent wine list compliments the traditional Thai menu. 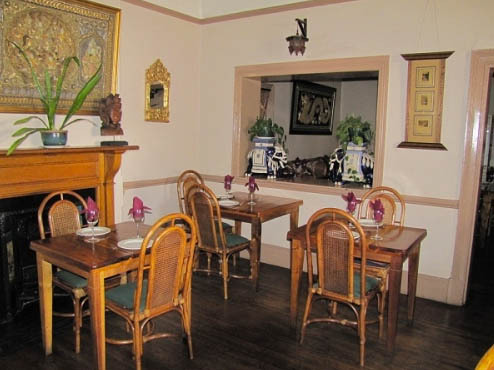 If you're in the mood for seafood, vegetarian or Asian, Yindee's is well worth a visit. Corner of Camp Street and Kloof Street, opposite Jan Van Riebeeck High School. Yindees hits the spot for a genuine Thai-style feast. The flavours were terrific and the vegetarian choices were excellent. I recommend Yindees for a large gathering of friends – ask for the chilled back room with cushions on the floor. It’s also great for an intimate dinner with someone special in a pretty Victorian house. Yindees Authentic Thai Cuisine is 0.2km from the centre of City Bowl , the nearest airport 21.4km (Cape Town International Airport).